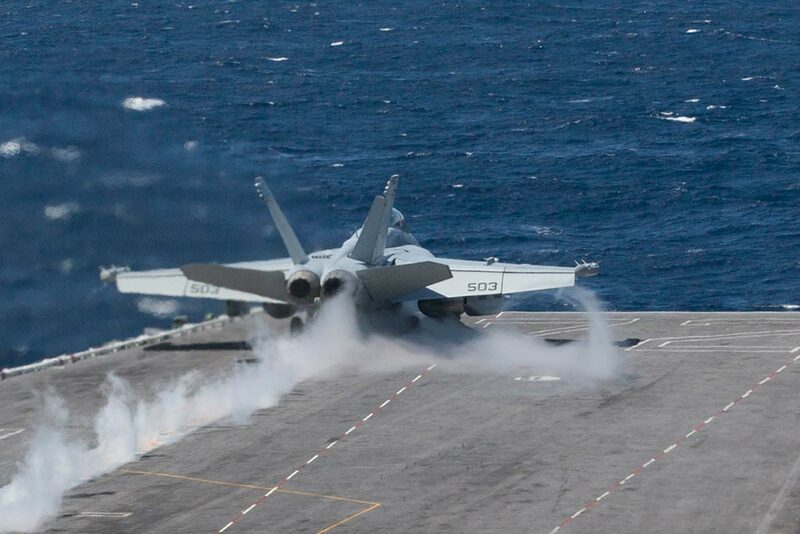 The Abraham Lincoln Carrier Strike Group (CSG) commenced operations in the U.S. 6th Fleet area of operations April 8, continuing support to coalition theater security cooperation efforts in the region. The strike group, including the Nimitz-class aircraft carrier USS Abraham Lincoln (CVN 72) as its flagship, Carrier Air Wing (CVW) 7, Ticonderoga-class guided-missile cruiser USS Leyte Gulf (CG 55), and destroyers from Destroyer Squadron (DESRON) 2 departed Norfolk, April 1 as part of a regularly scheduled deployment. Abraham Lincoln CSG’s presence in the region, part of an ongoing rotation of forward-deployed forces supporting maritime security operations, is emblematic of the multi-mission capability of the U.S. Navy’s globally deployed force. 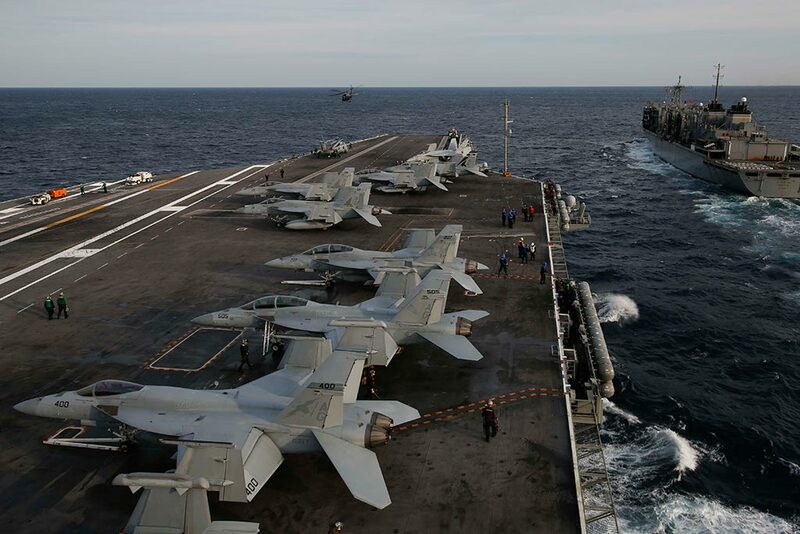 Carrier strike groups have ready capabilities to respond wherever and whenever required through a variety of mission sets. While operating in the U.S. 6th Fleet area of operations, the Abraham Lincoln CSG will participate in realistic training to increase the capabilities of the U.S. allies and strengthen partnerships through multi-lateral events honing the skills necessary to achieve maritime superiority through presence. Joining the U.S. Navy ships, aircraft, and sailors of Abraham Lincoln CSG for their deployment is the Alvaro de Bazan-class Spanish frigate ESPS Mendez Nunez (F 104). Partnering with the Spanish frigate demonstrates U.S. Navy’s commitment to working with allies and enhancing, interoperability among allied forces.